Coming out of spring training the Mariners and their fans would have been pleased with 89 wins, but after a hot start fizzled down the stretch, the Mariners ultimately must live with another season out of the playoffs. As the rain steadily fell in Seattle on a chilly Monday afternoon, Safeco Field sat darkened with the roof closed and ready for offseason hibernation. It signaled the finality of the Mariners’ 2018 season being done though one could argue that the feeling could’ve been felt weeks ago when they watched the Oakland A’s take a spot that once was theirs to celebrate. A few televisions flickered with the Dodgers and Rockies playing Game No. 163 to decide their playoff fate, some teams were still playing, but the Mariners were in the process of moving forward to 2019. But for one last day, manager Scott Servais and general manager Jerry Dipoto had to relive and wrap up a season of unmet expectations. They took a break from staff meetings to meet with the media one last time in 2018 to look back and look ahead. With Sunday’s win over the Rangers, the Mariners finished 89-73, which left them in third place in the American League West, but eight games back of the Oakland A’s. The 89 wins was the sixth-best record in team history and the most since 2003. “What we can’t lose sight of is that leaving spring training, if you would’ve told any of us that 89 wins was our outcome, regardless of how we were going to get there, we would have been thrilled,” Dipoto said. Indeed, most projections and prognostications had the Mariners below .500, so it is an accomplishment. And it many years, it would have meant a spot in the wild-card game. “We picked a unique season in which 89 wins wasn’t enough to get to the postseason rather than the rule since the two wild-card format was adopted,” Dipoto said. But the 2018 season was an example of how expectations can be modified with success or failure. Thanks to the dominance of Edwin Diaz, a propensity to win one-run games and solid hitting, the Mariners rode an impressive, but understandably unsustainable run of wins in the first three months of the season. Following a 4-1 win over the Angels on July 5, the Mariners were 56-32, which was the fourth-best record in Major League Baseball. Sure the A’s had knocked 4 1/2 games off an 11-game lead over the span of the previous two weeks, but Seattle seemed in control of its playoff fortunes. That feeling of control soon devolved into total helplessness. The Mariners went 33-41 over the next 74 games. They watched as the A’s passed them by and were powerless to stop it. Their postseason hopes basically ended with two weeks left to go. 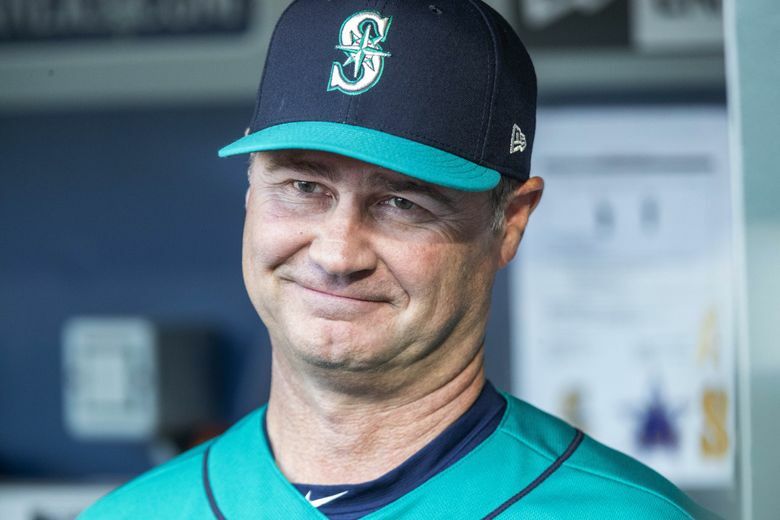 It was a painful fade from relevance for the Mariners that Servais had to endure while trying to do everything possible to make it stop and reverse course. It’s why he was more reserved about exceeding preseason expectations. While some people in the organization have tried to ignore or shrug off questions about the Mariners’ current postseason drought, which is now 17 years — the longest in the four major professional sports — he refused to hide from it. He owned it and wanted to break it. From the first day of spring training, ending that playoff drought and never having to hear about it again was his primary goal. To be fair, the Mariners weren’t good enough to stay with the A’s, who rolled to 97 wins. “To be honest, knowing that it would have required us to get to 98 wins to get to the playoffs probably helps you sleep a little bit better, because that’s not a particularly realistic goal,” Dipoto said. The Mariners’ offense disappeared in that fall from contention. Shortstop Jean Segura and outfielder Mitch Haniger had carried the team when Robinson Cano was suspended, but they started to cool off in July and the Mariners went 10-13 for the month. Segura hit .250 with a .640 OPS while Haniger hit .191 with a .618 OPS. And players like Kyle Seager, Mike Zunino, Ryon Healy and Dee Gordon failed to pick up the slack. The struggles leaked into August. The Mariners scored 196 runs in July and August, which was the third fewest in the majors while posting a .690 OPS, which was the fourth worst in MLB. Seattle could never recover. Three months of success was gone and another year without the postseason remained.